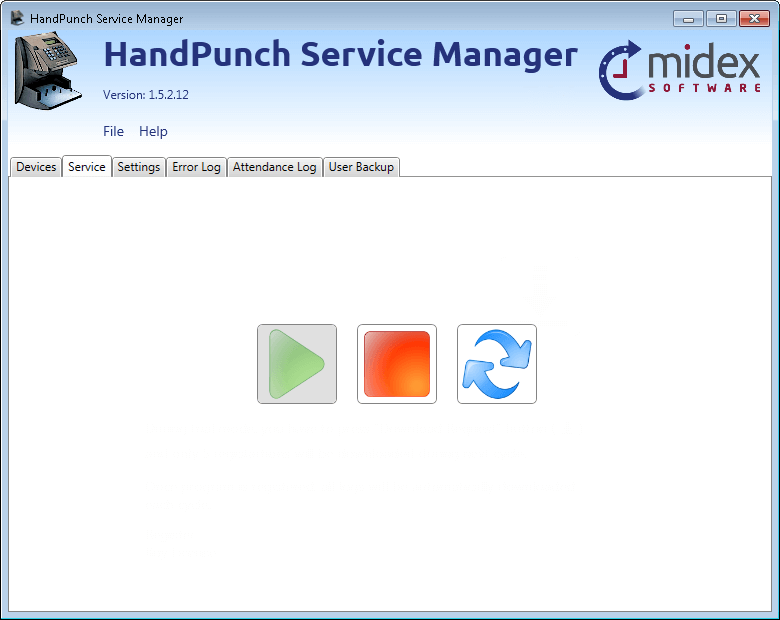 HandPunch Service is a windows service which on schedule download user punches from the HandPunch and saves it to an SQL Database. HandPunch Service is designed for customers who already have an existing Time and Attendance software and are looking to integrate HandPunch devices. 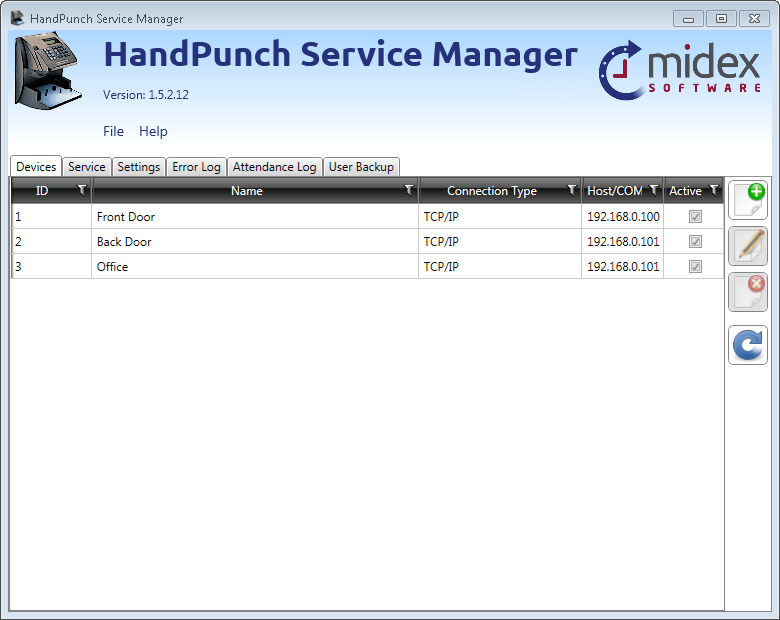 This service will download attendance logs from the HandPunch and save it to the database. In addition, we have a built-in time synchronization and user backup. You can setup your own Time and Attendance Software to read logs from the HandPunch Service database, or modify our database stored procedures to save attendance logs directly to your own data table. This HandPunch Service is compatible with all F-Series HandPunch models including HP1000, HP1000E, HP2000, HP2000E, HP3000, HP3000E, HP4000 and HP4000E. We offer customization to this product. If you have any requirements that are not include in this out-of-the-box version, please contact us and speak to our specialists.